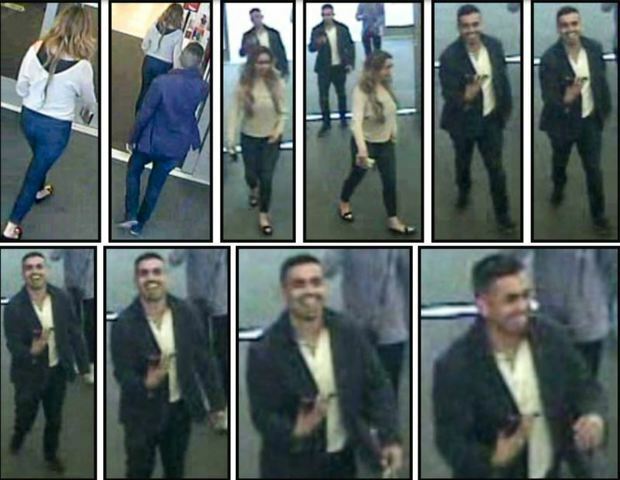 INDIANAPOLIS -- Two suspects, one seen grinning in surveillance photos, stole a woman's credit card last month and spent thousands of dollars using it, police say. The victim's wallet was stolen out of her purse while she was eating at Sullivan's Steakhouse on E. 86th Street in April 2018. "My purse was hanging on the back of my chair," said the victim, who wishes not to be identified. "I was there the whole time, but when I got home I reached in for my wallet and realized my wallet was gone." 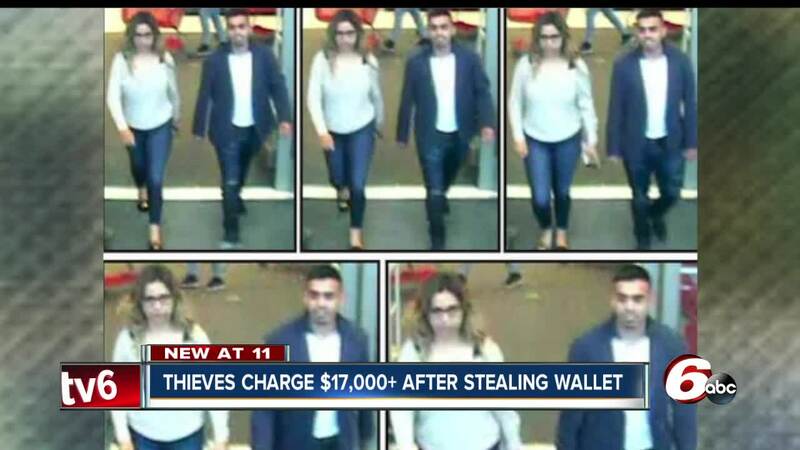 Police believe a man and a woman stole the wallet, then used debit and credit cards at Target and Best Buy stores in Indianapolis and Westfield. The purchases at both stores totaled more than $17,000. "It just feels kinda creepy that they were watching me and noticed I wan't paying attention. Kind of preying on people who aren't paying attention," said the victim. 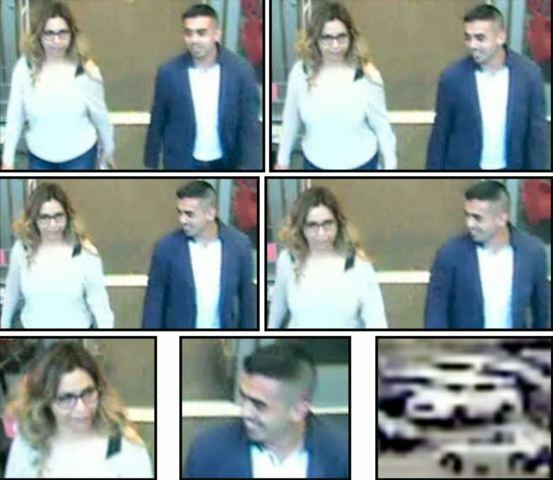 In the surveillance photos seen below, the male suspect can be seen laughing and grinning as he entered the stores before using the woman's cards to make very large purchases. 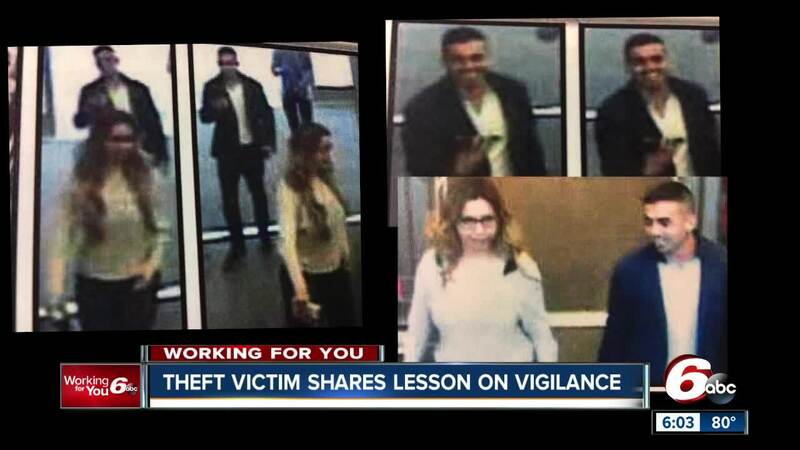 "These could be the people that stole the card," said Detective Tim Conley. "These could be the people that passed the card. 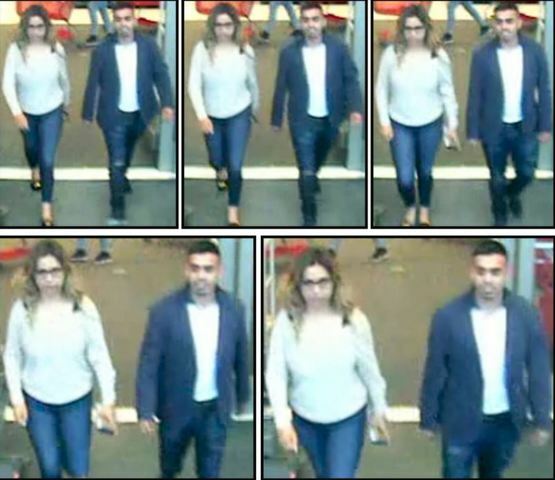 we know that these are the people that passed the card at the Target and the Best Buy for roughly $17,000 dollars." If you have any information on the suspects, call Crime Stoppers at 317-262-8477 or 800-222-8477.